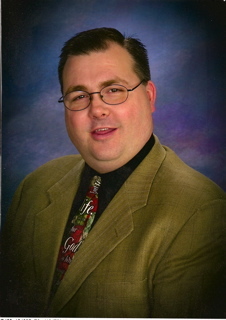 Timothy earned his Associates of Arts degree (emphasis in Bible) from Northeastern Christian Junior College in 1989, and his Bachelors of Arts degree in Bible from Freed-Hardeman University in 1991. Timothy continued his education at Lubbock Christian University, earning a Masters of Science degree in Bible and Ministry in 1993. Timothy has been married to his wife Renee since 1995. David Tarbet received the Bachelor of Arts degree from Abilene Christian University and the Master of Arts in Religion from Fairfield University. After devoting 50 years to preaching for local congregations in Connecticut, New Mexico and Texas, David retired from preaching in 2010. His long-term dream was to return to New England to help Churches of Christ grow numerically and spiritually. David edits Christ for Today, an undenominational direct mail publication for those seeking truth, devoted to the teachings of Jesus and His apostles. http://www.christfortoday.org He also serves as volunteer Director of The White Rock Fund, a non-profit organization which provides grants to Churches of Christ for the support of over 60 missionary efforts around the world. His work in New England is sponsored by the elders of the White Rock Church of Christ, Dallas, Texas. David and his wife, Paula, have been married 52 years. They have four children: David Paul, Timothy, Joanna and Judith, and 10 grandchildren.